Lately, probably due to the large number of events Entrepreneur Middle East participated in this year, I’ve been asked a lot about my moderating or speaking engagements. This fall alone, I took part (alongside many others from our hyperactive entrepreneurial ecosystem) in more events than I can list here, and they all had to do with entrepreneurship and leadership. So, the reason that both Aby Sam Thomas (our Managing Editor) and I speak or moderate at different events across the region is because we don’t see ourselves as a media outlet. We see ourselves as part and parcel of the entrepreneurial ecosystem in this region. During these types of conversations, I often remind people that we too stage events, and how can we expect the ecosystem’s pillars to come out and take time out of their schedules to speak to our entrepreneurs, if we aren’t doing that very same thing? Yes, it does take a tremendous amount of preparation, and yes, it means we often work long hours to make up for the time that we spend at events as speakers (especially when we have to travel for an event). But that is what it takes to work at this magazine, because we don’t see ourselves as just a magazine. If we did, we would not have, from day one, been actively engaged on the ground with entrepreneurs and the very significant people who facilitate entrepreneurship in this region- be it through programs, mentorship or funding. If we did see ourselves as just a magazine, we wouldn’t be tweeting with our startups night and day, and we wouldn’t be heavily engaged with entities like Endeavor. To work at this magazine, you have to believe in what we’re doing, and that means that you are committed to being more than just a magazine. You are committed to the ecosystem, all the way. 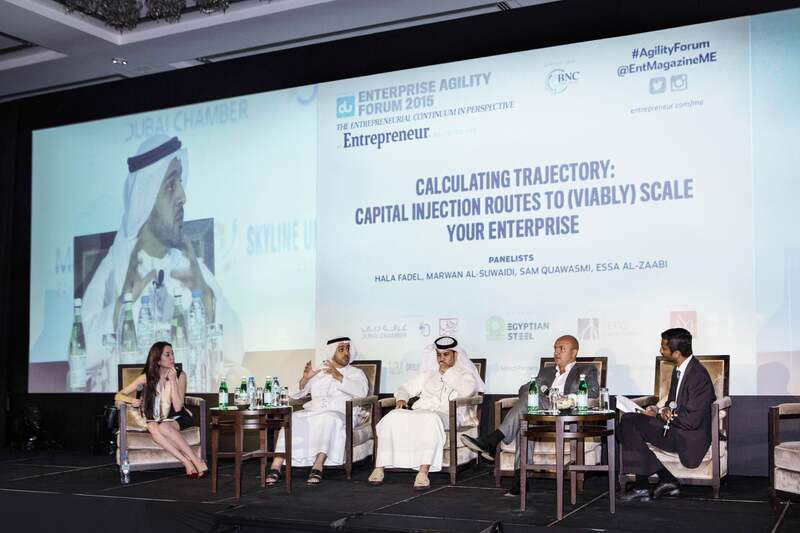 I think that our Director, Wissam Younane, summed it up nicely during his address at our 2015 Enterprise Agility Awards in Dubai when he, inspired by H.H. Sheikh Mohammed bin Rashid Al Maktoum’s commentary on the Arab world, said: “Entrepreneurship isn’t just on our agenda, it is our agenda.” And like you, entrepreneurs, that means we have a single-minded focus on doing our part for the ecosystem, and keeping the collective give-and-get energy going. I’ll see you all at the next event!